The Soundcloud for Desert Call by Holly Miranda has two notes of interest. “Featuring Kelis on backing vocals,” is the first. “Released Oct 2013,” is the second. Yet this song and another (Everlasting) only found themselves uploaded to Soundcloud five days ago; which is why we’re featuring the song now. 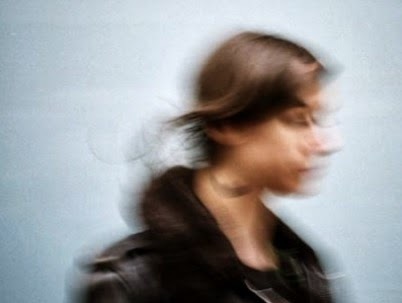 Holly Miranda first cropped up on this blog back in 2009 and has featured in dribs and drabs ever since, the last being in 2013 when she provided guest vocals on Mmoths trippy distorted electronic tune All These Things. Since then she appears to have spent quite a lot of her time on Facebook posting pictures of cats and the occasional dog. Desert Call has a sleepy lazy day Sunday feel to it, combining elements of classic 60’s soul and tender country balladry. We can imagine this one being played out as the hero of a film slow dances with his lover clutched in his arms in a velvet curtained neglected nightclub, before he slowly drops to the floor, bleeding from a bloody and fatal gun shot wound he sustained from an enemy earlier, his eyes rolling to the heavens as he takes his last sad romantic breath and Holly croons “Hallelujah,” over the closing credits.